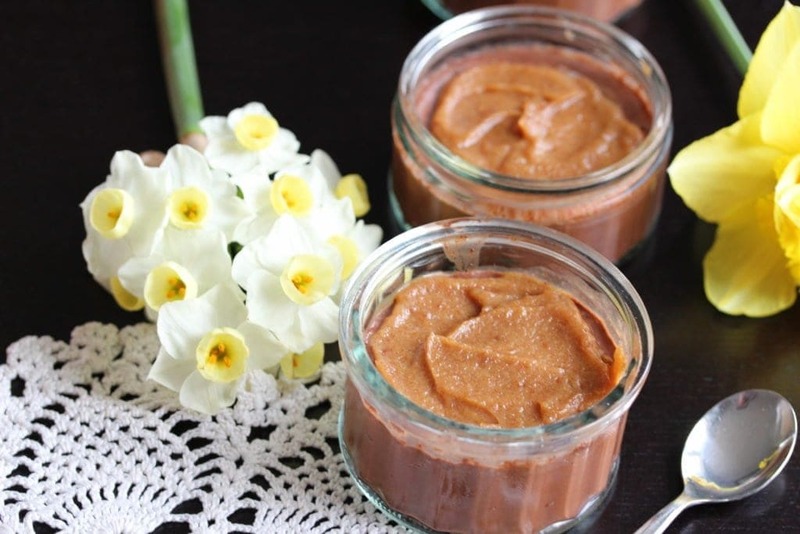 Vegan Salted Caramel & Chocolate Pots (Gluten-Free, Low Sugar) | The Free From Fairy. 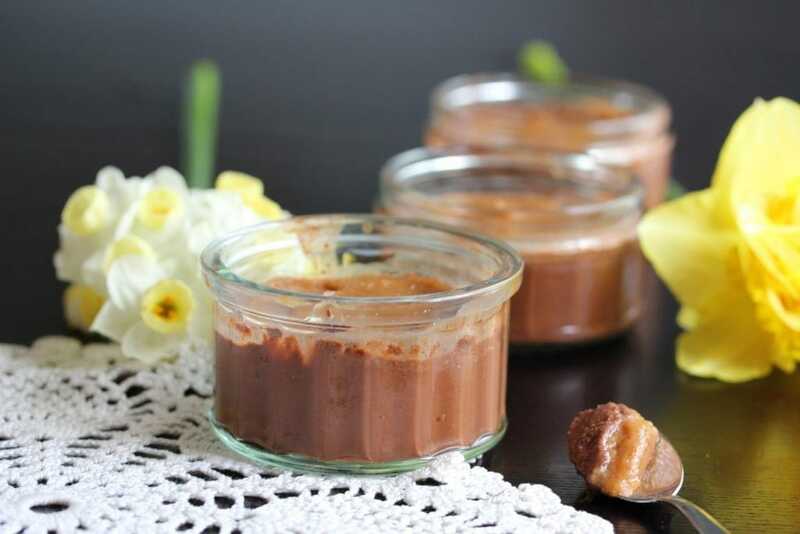 I created this simple recipe for vegan salted caramel & chocolate pots for Mothers Day. It’s so simple even small children could help make it. Being a mum is tough. Nobody really tells you that, I guess if they did you wouldn’t believe them anyway. Life changes to adapt to the new little wonders in your life and nothing is quite the same again. I wouldn’t change it for the world, I adore my children and would do anything for them…but that means certain sacrifices along the way. All mum’s deserve a treat and their hard work deserves recognition which is why Mothers Day is so great. I’m sure I never realised just what my mum did for me until I became a mum which is rather ironic really. Anyway, this recipe is super easy to make and sneaks in some wholesome ingredients such as chia seeds and fibre-rich dates. Even small kids could help make these for their deserving mum’s. I’ve attempted to keep the sugar content as low as possible by using 70% dark chocolate and dates, whilst at the same time keeping it feeling decadent. How do you make vegan salted caramel? It’s really easy to make vegan salted caramel. I’ve used dates as the basis to the recipe. I blended them into a smooth, creamy paste with coconut butter, vanilla, salt and water. Dates naturally taste of caramel so when combined with salt and vanilla the flavour is accentuated. They are also a fabulous source of fibre, polyphenols (that can protect the body from inflammation) and a variety to vitamins and minerals. 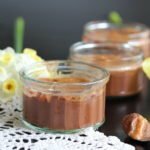 I personally love this version of date caramel, but my husband found it too ‘coconutty’ so I made some of the chocolate pots flavoured with a little orange essential oil and left off the layer of caramel. You can of course adapt this recipe to whatever you think your mum will enjoy. If you want to use essential oils for flavouring food always make sure you choose a company which produces pure oils that are thoroughly tested. I use and sell doTerra essential oils because they put all their oils through third party testing and source them responsibly. The battery of tests ensure that they contain no herbicides, pesticides or other toxins that many other oils contain. If you’d like to know more about the oils then leave me a message. I’m always teaching classes about how to use essential oils as part of a holistic approach to health. Since I started using them I’ve had far less days off sick and have treated all kinds of ailments that my family has had, without the need for medicines. This is for my lovely mum. She probably won’t read this, but she is the best mum in the world. Even though I’m in my 40’s she’s still always there for me and I hope my kids will say the same about me when they’re all grown up! 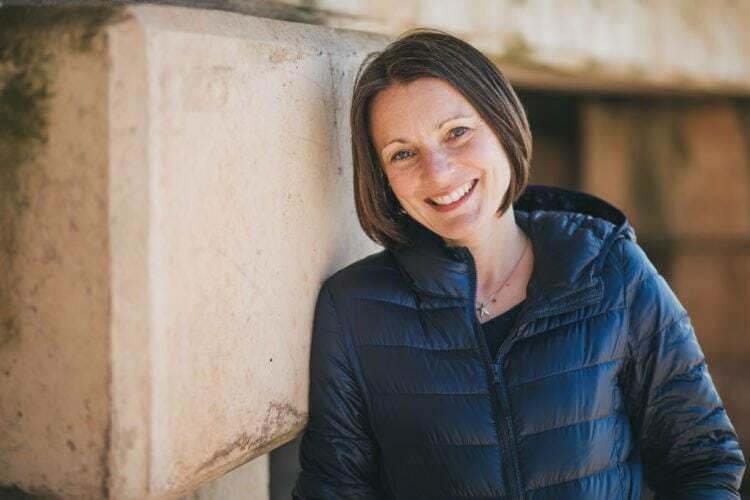 If you have to follow a gluten free diet but are struggling to adapt to it check out my online course. In it I teach everything I’ve learnt about bringing up a child with coeliac disease. I made many mistakes along the way so I created the simple-to-follow course so you don’t have to. 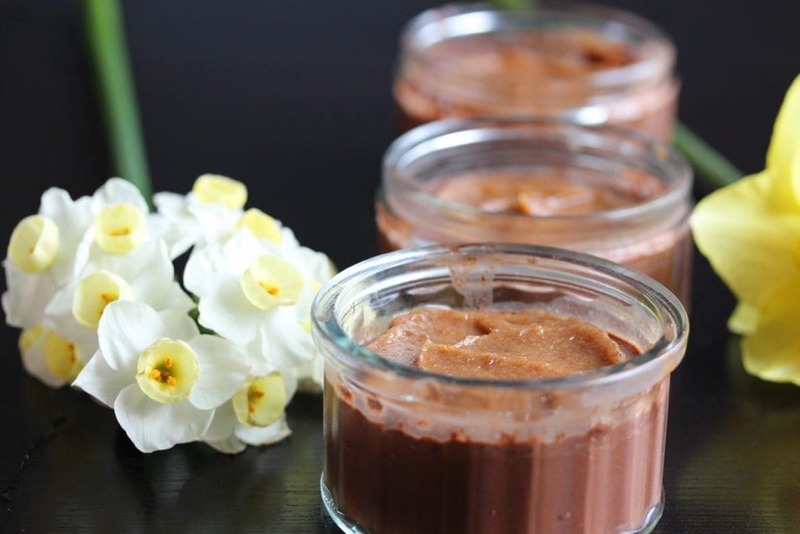 If you like this recipe you’ll like this one too for naturally sweetened vegan chocolate pudding. To make the chocolate pots gently heat the coconut milk and vanilla extract until almost boiling then remove from the heat. Add the dark chocolate and ground chia seeds and whisk to melt the chocolate and combine the chia seeds. Ooh Vicki, this sounds amazing. I love date caramel and this is the perfect decadent but healthy treat. Yum! I agree with Emma, this sounds amazing, lovely post which lots of us can relate to, think I know what puddings going to be on Sunday now thank you! Ooo let me know what you think! These look divine!Perfect for any occasion and very clever. Ah thanks Jenny! They are rather irresistible! It sounds amazing! 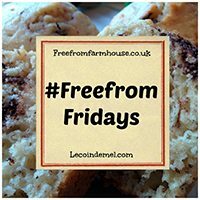 I have never tried date caramel and I’m intrigued, although I’m probably like M with the coconut taste :)Thanks for joining in with #FreeFromFridays. Wow these sound so delicious and indulgent, I love anything with coconut milk too! I think you’ll love these! These look great. You can’t go wrong with caramel and chocolate and they’re “good” for you as well!! 🙂 See if I can persuade Midge to make me some!